Community Theatre and AIDS (Basingstoke: Palgrave Macmillan, 2011). Performance and Philosophy: Interdisciplinary Approaches to the Performing Arts (Saarbrücken: VDM Verlag, 2008). 'Towards a Politically Efficacious Community-Based Theatre' in Trends in Twenty-first Century African Theatre and Performance (ed. Igweuno & Hauptfleisch), Amsterdam: Rodopi, 2011. 'Performative Interventions: African Community Theatre in the Age of AIDS' in Ritual and Event: Interdisciplinary Perspectives, Franko, Mark (ed. ), London and New York: Routledge, 2006. 'The Limits of Community-Based Theatre: Performance and HIV Prevention in Tanzania', The Drama Review 54:1 (T205), Winter 2010, New York University & Massachusetts Institute of Technology. 'MisTanzania', OEI, Nr. 48-50, OEI Editör, Stockholm. 'Eschatological Field Notes: Community Theatre, AIDS, and the Fate of Informant D. in Ilemera, Tanzania' in Nordic Theatre Studies (THEATRON), No. 19, 2007. 'The Lives and Deaths of Zakia: How AIDS changed African Community Theatre and vice versa' in Theatre Research International, Vol. 32, Cambridge University Press, 2006. 'Richard Schechner and the Concept of Performance', Visslingar & Rop, Stockholm: No. 17-18, 2004. "It's the Real Thing: Performance and Murder in Sweden", European Review (Cambridge: Cambridge University Press, Vol. 8, 2001), co-written with Janelle Reinelt (UC Irvine) and Willmar Sauter (Stockholm University). "From Stage to Page via the Performative Turn", Nordic Theatre Studies (Umeå, vol. 13, 2000). Polity Immunodeficiency. Exhibition at Fremantle Arts Centre, May-July 2012. MisTanzania (2006; 2010), developed performance/video work at Weld, Stockholm, October 2010. Exhibition and presentation of the video work Aboriginal Terraformations at Govett Brewster Gallery in New Plymouth, New Zealand, February 2009. Performer/dramatist in Dilute to Taste, directed by Guillermo Gomez-Peña and Roberto Sifuentes (La Pocha Nostra, San Francisco), at University of Wales, Aberystwyth, June 2006. Line producer for the CNN documentary Staying Alive on East African community theatre against HIV/AIDS, recorded in Tanzania and broadcasted on World AIDS Day, 1 December, 2004. Johansson teaches performance studies and research methodology. On a more practical basis he teaches applied performance with special focus on explorations into devising, community theatre, action art/research. Johansson has not taught at Middlesex University as yet but has arranged and chaired seminars with research associate artists at ResCen Research Centre, Middlesex University. 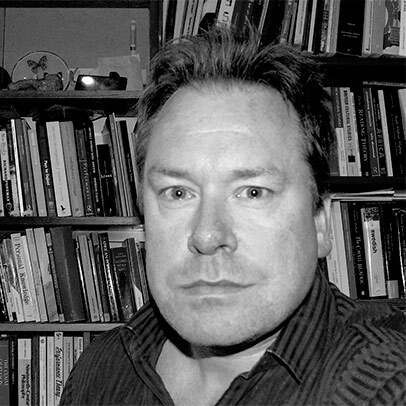 Johansson's conceptual research is primarily concerned with modes of applied theatre and action research under critical societal conditions. This research correlates with practice-based projects in collaborative applied performance, devised theatre and video art. Johansson, Ola (2018) The democratic counter-occupation of The Freedom Theatre in the Palestinian Territories. In: The Freedom Theatre: Performing Cultural Resistance in Palestine. Johansson, Ola and Wallin, Johanna , eds. LeftWord Books, New Delhi. Johansson, Ola and Wallin, Johanna , eds. (2018) The Freedom Theatre: Performing Cultural Resistance in Palestine. LeftWord Books, New Delhi.